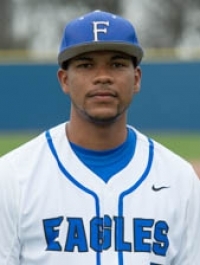 The Faulkner University Eagles won their first-ever NAIA Baseball National Championship, defeating the Lewis-Clark State Warriors 11-4 in the final. RHP Johnny Shuttlesworth got his 16th win of the season, and was named the tournament's Most Valuable Player. (The record for wins is 19, set by Dan Quisenberry in 1975.) He allowed 14 hits over 7 1/3 innings, but only four earned runs. He threw 122 pitches. 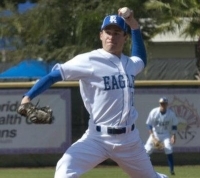 The Eagles got all the runs they needed in the second inning, jumping on Warriors starter RHP Ryan Sells. Sells also plays shortstop for the Warriors (he batted .338 for the season), and this was only his fifth start. The winning run came on a two-RBI single by DH Michael Cruz. The Warriors had some chances to get back in the game. The best one was in the bottom of the fourth. 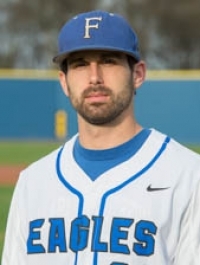 They started the inning with two straight singles, and had the bases loaded with one out, but the Eagles turned the only double play of the game to get Shuttlesworth out of the jam. 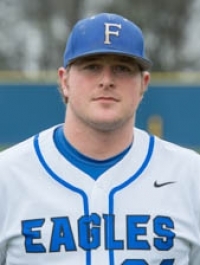 Cody Faulkner, a sophomore LHP from Irving, TX, pitched the fourth no-hitter in the history of the National Championship tournament, and the first since 1992. 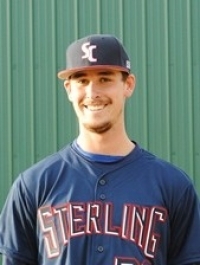 He led Northwood (TX) to a 1-0 win in an elimination game over Sterling. Faulkner threw 94 pitches. He walked two, and they were the only baserunners the Warriors had. One of them was taken out in a double play. The only run of the game came in the top of the first inning. 3B Logan Brumley hit a leadoff single, moved to second on a walk, and moved to third on a bunt single by SS Elvin Rodriguez. He scored on a sacrifice fly by C Adam Humes. Warriors ace Steven Cazares went the distance for the Warriors. He threw 131 pitches, and came close to matching Faulker's performance. He allowed six hits, walked two, and struck out six. In other action, York was eliminated with a 4-1 loss to Rogers State. #1 Faulkner won their opening game in another good pitching duel, 2-0 over Missouri Baptist. Johnny Shuttlesworth and Labradford Griffis combined for the shutout. Shuttlesworth got his 15th win of the year, went seven innings, allowed five hits, struck out four. C Zac Colby singled in both runs of the game in the seventh inning. Lee defeated Lewis-Clark 14-11. Lee 1B Karsten Strieby hit a home run that cleared the center field fence. The Rieleros de Aguascalientes (“Railroaders”) split a Mexican League double-header at home against the Saraperos de Saltillo (“Serape Makers”) on May 15. The Rieleros won the first game 7-3, and lost the second game 10-4. A double-header (two seven-inning games) was played because of a rainout the previous night. First game: The starters were Fredy Quintero for the Rieleros, and Victor Garate for the Saraperos. 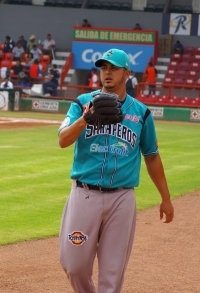 Quintero was in the Dodgers organization in 2008 and 2009. Garate, a Venezuelan left-hander, made four appearances for the Nationals in 2009. 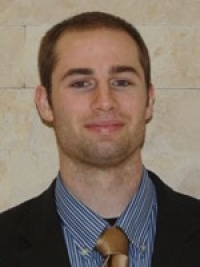 He was in the Astros, Dodgers, and Brewers organizations from 2005 to 2012. In the top of the third inning, Rufino Candelario reached first on an error with one out. He was forced out at second when 3B Henry Mateo hit a ground ball, and Mateo reached on a fielder's choice. (Mateo is a Dominican Republican who played six seasons with the Expos/Nationals.) The Saraperos then executed a perfect hit-and-run. Daniel Castro hit a slash bunt toward the shortstop, and Mateo had a good enough head start so that there was no play. A walk loaded the bases, but a fly out ended the inning with the bases loaded. Missouri Baptist will be making their first-ever trip to the National Championship tournament. They defeated defending champion Tennessee Wesleyan 4-3 (19 innings) in the “if necessary” game of the Kingsport bracket. The Spartans led 3-1 going into the bottom of the ninth inning, and starter Ethan Gibbons held the Bulldogs to seven hits over the first eight innings; the only run he allowed was on a wild pitch. The Spartans got a run in the fourth on an RBI single by C Garrett Vail, and two runs in the seventh on a home run by DH Joe Stropp. Gibbons got two quick outs in the bottom of the ninth, but the next two batters got base hits. The next batter hit a ground ball to second that should have ended the game, but it was bobbled, and a run scored. The Bulldogs sent it into extra innings with an RBI single by CF Travis Burnside. The Bulldogs left the winning run on third in the bottom of the tenth and 15th. The Spartans left the bases loaded in the top of the 12th, and left runers on second in the tenth, 13th, 14th, and 16th innings. The Spartans got the winning run when SS Patrick Johnson opened the 19th with a single, went to second on a walk, and was bunted to third. He scored on a sacrifice fly by Vail. Watch this site for updates on sites for each bracket and live video. Click here for the NAIA's schedule and results page.